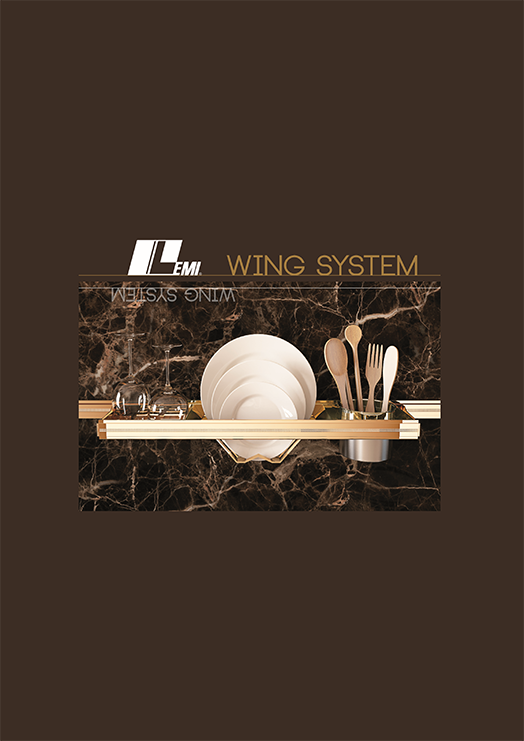 Lemi expands on the project Wing by inserting a new line designed in collaboration with designers Gianmaria Belcore and Carlo Tajuddin, declined in two glossy finishes, gold and silver plated, with entries of Swarovski crystals. ” The input of lemi was leaving the automatism of diagrams that lead us to design products for Western consumer tastes to approach us instead to other countries, other people. We thought then to an opulent kitchen where the wealth of details and materials become essential elements to complete valuable projects “say Gianmaria and Carlo. That’s why Wing is enriched with valuable items such as original Swarovski crystals embedded in the listing as real jewels. The brilliance of crystals and overlapping design, thin sheets, where light brush elegant reflections, Mirror polished and coated surfaces enhances the precious metals by Florentine master craftsmen.